This is CAD of the Hand Truck frame we are turning into a wheelchair. This is the same frame, bent to start to look like a chair. We do it in CAD first to avoid wasting resources. We are filing out the holes for the caster wheels. Vanessa learned to use pneumatic tools, and a file. 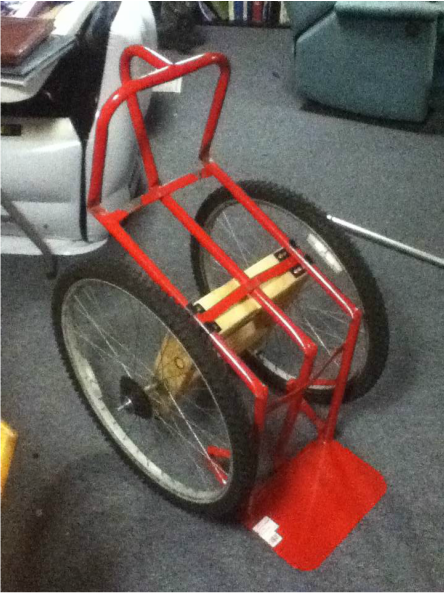 A finished caster made out of gas pipe and the original wheel of the hand truck. Wheels are on. Recognizable shape now. 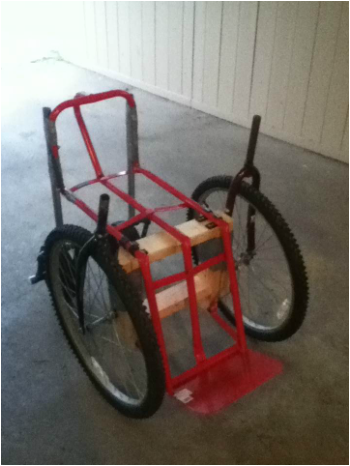 The "finished" wheelchair. The night before the tech fest.